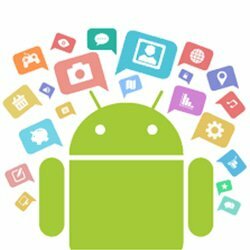 Latest info on Android tablets, reviews, accessories, apps, and games. So you want a tablet, and you want it now. Perhaps this will be your first tablet, or you already have one and merely want to upgrade to a better one. Maybe you need to replace your laptop, or you are simply looking for an additional screen that you can use on the couch or when you out and about. Whatever your reason, fear not, as there are loads of great options available. 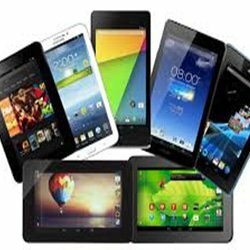 We at Nothing But Tablets are passionate about Android tablet reviews for Canada and elsewhere and are committed to offering you valuable information that will assist you in making the right choice. There are countless Android tablet reviews in 2018, but which one do you trust? Whether you've got your eye on an iPad, a Windows slate for its productivity, or one of the multiple Android-based tablets, we at Nothing But Tablets got you covered as we review all tablets in detail, compare tablets against each other, and offer our assistance when it comes to the basics of purchasing a new tablet. Before you can purchase a tablet, you will first need to figure out why you need a tablet. We included a comprehensive guide to make the decision-making process much more simplistic. You'll need to figure out what you want to do on your tablet. Will you use it to watch movies? Type documents? Use photoshop? Read news articles? Store it in a purse? Does your tablet need a Webcam? A stylus? A Keyboard? Much like laptops and smartphones, there are loads of tablets in different sizes available on the market with an extensive set of unique capabilities. Determine what matters most to you and compile a list. The model you buy will greatly depend on your tablet requirements. These decisions will ultimately affect the operating system as well as the tablet features you need, be it an Android-based tablet or other. The biggest factor when choosing a tablet will be the operating system. This will be the basis for the entire experience, including application support, interface gestures, and the features a device will support. In fact, choosing a tablet based on the operating system will basically tie you to a specific platform the same way you selected a Mac or Windows-based PC. There are three main operating systems available for tablets, including Apple iOS, Microsoft Windows, and Google Android. We at Nothing But Tablets provide iOS, Windows, and Android-based tablet reviews for Canada to further assist you with your decision. There is certainly no shortage of choices when it comes to choosing a tablet. However, with so many features available on each of them, it can be rather confusing. You will need to consider the screen size, resolution, performance, connectivity, storage capacity, available upgrades, apps, and if you will be using a keyboard or webcam with your tablet. At Nothing But Tablets, we provide useful information on each of these listed features, making it much easier to find the tablet you want. We do in-depth reviews on screen sizes, ranging from 6 inches to 18.4 inches. These will include Android tablet phones as well as the best 12-inch tablets such as the iPad Pro and the Galaxy View. For entry-level tablets, you will need a resolution of at least 1280x800 pixels, while higher resolution such as 1920x1080 pixels is far more superior. We also look at PPI (pixels-per-inch) to indicate picture sharpness, and walk you through the various performance aspects, including RAM and GHz requirements. When it comes to connectivity, you will need to determine how you will use your tablet. Generally, the more connections and ports it features, the better. We look at Bluetooth, expandable storage, USB and MicroUSB, as well as Micro HDMI, NFC support, and wireless charging for added convenience. Then there's battery life, which will play a big role in your decision. A tablet with exceptional battery life compared to a tablet with poor battery life makes a huge difference. You will also need to decide if you tablet should feature a rear camera, a front-facing camera, or both. Do you tend to use Skype to chat with friends and family quite often? Another important aspect is keyboards. There is a host of Android, iPad, Windows tablets, and Android-based tabs in 2018 that will give you the opportunity to dock a tablet into a keyboard, ensuring you can type with added convenience. All these important features are covered on our site along with the latest Android tablet reviews and accessories to keep you up-to-date. We also cover the latest tablet apps for various categories, including tablet games, business, books, entertainment, education, finance, and more on all tablet platforms so you don't have to.